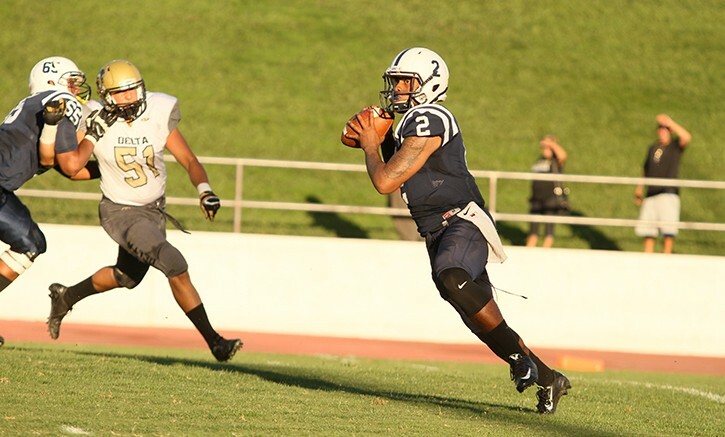 After ending the regular season with a record of 7-3, the American River College football team will not be competing in the California Community College Athletic Association State Championship Playoffs this season. Instead, ARC will host San Joaquin Delta College in the Gridiron Classic Bowl next Saturday. ARC beat Delta early this season by a score of 44-24. The NorCal side of the state championship bracket will consist of Butte College, which beat ARC on a Hail Mary pass in week 10, versus the City of San Francisco Community College, which ARC beat on a game-winning field goal in week four, and Chabot College, which finished the season with a 8-2 record, versus the College of San Mateo, which beat ARC 42-10 in week five. Following ARC’s 38-18 win over Sacramento City College Saturday, ARC’s head coach Jon Osterhout said that ARC deserved to be in the state championship playoffs. Be the first to comment on "ARC fails to make playoffs"